Be the first to share your favorite memory, photo or story of Candy. This memorial page is dedicated for family, friends and future generations to celebrate the life of their loved one. Verna R. Pierce, age 72, of St. Clair, MO, passed away on Thursday, January 24, 2019 at Mercy Hospital in Washington, MO. Verna Ruth, known as Candy to family and friends, was born on December 4, 1946 in Washington, MO, to the late Floyd and Jeanie Nugent. She grew up and attended school in Washington, MO, and Enid, OK. Candy graduated high school in 1968 and went on to obtain a Bachelor’s Degree in Business Administration from Liberty University in Virginia. She also worked as a beautician, on her own, for many years. Candy was united in marriage to James Pierce on May 10, 1978, in Springdale, Arkansas. Together, they spent time living in Arkansas and Oklahoma before coming to Missouri in the 1990’s. In 1997, they made their home in Washington, MO. Candy spent her last years as an advocate for people in need. She loved arts and crafts and collected Fenton Art Glass. When she was healthy, Candy very much enjoyed her work. She will be lovingly remembered and missed by her family and friends. Candy is survived by her husband of forty years, Jim Pierce of St. Clair, MO; one brother, William “Bill” Nugent and wife, Terry, of Jefferson City, MO; special friend, Shirley of New Haven, MO; numerous nieces & nephews, other relatives and friends. She was preceded in death by her parents, Floyd and Jeannie (Copeland) Nugent. No Services to be held at this time. Mrs. Pierce will be cremated. 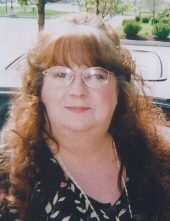 Friends may send online condolences to the family of Candy Pierce at www.eatonfuneralhome.com. To send flowers or a remembrance gift to the family of Candy Pierce, please visit our Tribute Store. "Email Address" would like to share the life celebration of Candy Pierce. Click on the "link" to go to share a favorite memory or leave a condolence message for the family.